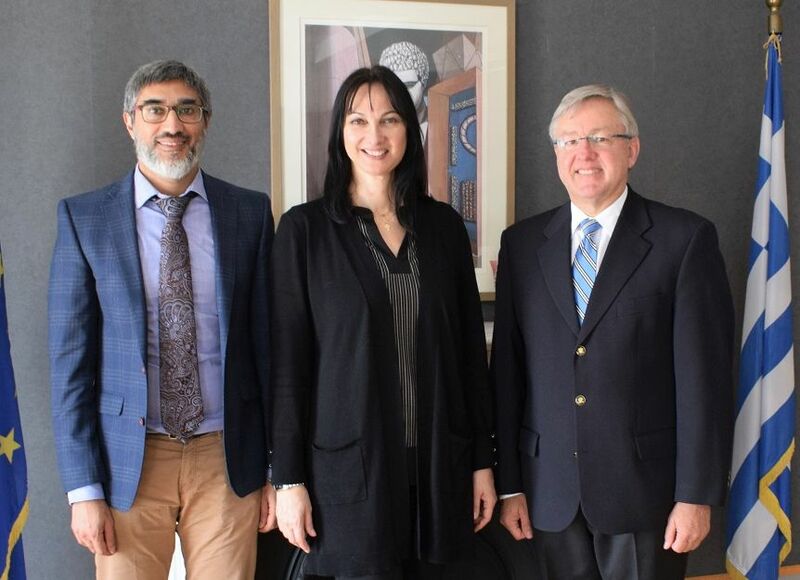 Greek Tourism Minister Elena Kountoura with the deputy head of the South African Embassy in Athens, Ahmed Seedat (L) and the South African ambassador to Athens, Marthinus van Schalkwyk. During a meeting in Athens, Ambassador Schalkwyk showed particular interest in Greece’s new legal framework for Greek thematic tourism forms. 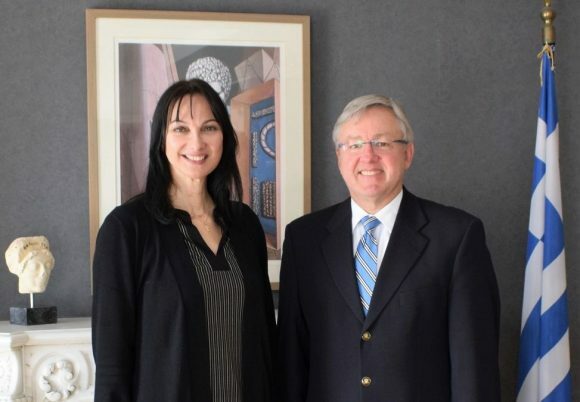 Referring to the legal framework as “pioneering on a global level”, the ambassador expressed an interest in receiving know-how from the Greek side to educate South Africa in the field of thematic tourism. “The excellent results achieved in Greek tourism have decisively contributed to the country’s path to growth,” he said. Minister Kountoura informed the ambassador on the ministry’s priorities and upcoming actions in order to continue the upward trend of Greek tourism in 2019 and the following years. She expressed a mutual interest to further develop the tourism relations between Greece and South Africa. Ambassador Schalkwyk, who is expected to take over as Ambassador of South Africa to Australia in early March, thanked the Greek minister for her cooperation so far and invited her to visit South Africa and explore prospects for bilateral tourism cooperation. The meeting was also attended by Deputy Head of the South African Embassy in Athens, Ahmed Seedat.